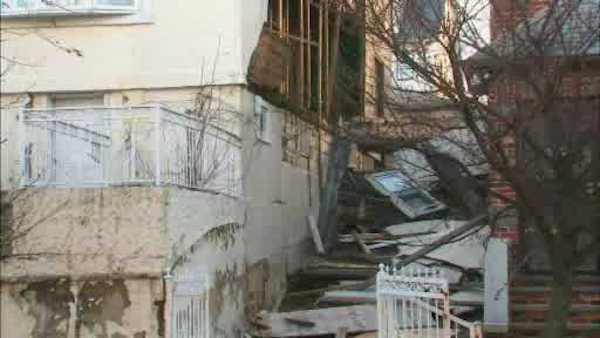 EDENWALD, Bronx (WABC) -- Strong winds are believed responsible for a partial building collapse in the Bronx Sunday morning. The building is a 3-story abandoned residential structure on Hill Avenue in the Edenwald section. The initial call of a partial collapse of the building's facade was received at 7:06 a.m. The adjoining property may have been evacuated as a precaution. High winds were hitting the area at the time the facade collapsed. EMS says that no injuries are reported. The cause of the collapse is under investigation. The Department of Buildings is on the scene surveying the damage.